Attorney Antoinette Middleton appointed to the board of trustees for San Diego County’s Meals on Wheels. Everyone who knew my mother especially remembers her for cooking delicious meals. Undoubtedly, she had a guiding hand in my appointment to the board of trustees at Meals on Wheels. 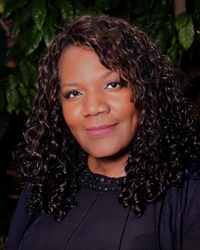 Attorney Antoinette Middleton, founder of the Law Offices of Antoinette Middleton, was recently named to the board of trustees for Meals on Wheels San Diego County. Attorney Middleton was recommended for the position on the board of trustees by real estate developer Gary Gramling. Since 1977, Gary has been active in Meals on Wheels of San Diego County, including serving on the board of directors and twice as the chairman. In May 2017, Middleton was subsequently elected by a vote of the majority board members, and appointed to a three-year term commencing June 1, 2017. One important responsibility of the board of trustees is to serve as an ambassador to the community by communicating agency policies and programs to the greater San Diego community. Meals on Wheels is devoted to the health, safety, and well-being of San Diego County seniors. It is the only agency providing meals for seven days a week, including holidays. Additionally, Meals on Wheels covers the entire county, including delivery into the over 3,049 square miles of rural and unincorporated areas. Meals on Wheels San Diego County holds events throughout the year to help raise funds to support homebound seniors. It recently hosted its annual gala and largest fundraiser, “MOWtown,” and from July 5-7 will be hosting the Pete Micklish Memorial Fishing For Charity event. To donate to Meals on Wheels directly, please visit https://www.meals-on-wheels.org/give.